Webinar focuses on the key challenges for financial services companies and OSG's approach to combining behavioral and cognitive analytics to understand customers. All attendees are in listen-only mode. Good morning, and good afternoon, wherever you are. Welcome to the OSG webinar titled, Maximizing Portfolio Profitability: Understanding Your Customer's' Lifetime Value. My colleague and speaker today is S.V. Rangan, who serves as a global adviser for financial services at OSG. I'll take a minute or so to introduce him, and introduce myself, and then move on to quickly having Rangan set up for us a dialogue around what he sees as some key problems and how you might go about solving those. So, first ... our speaker is the esteemed CEO for IFG Worldwide Limited with more than 25 years of experience in financial services with companies like Citigroup, MetLife and AIG. His experience spans across insurance companies, retail banking and wealth management. He has served as the president at AIG's international life business. Part of the senior leadership roles at MetLife included as the CEO for EMEA. He was head of marketing, distribution and employee benefits for international business for MetLife. He has a successful track record of setting up new businesses and transforming under-performing businesses. He has mentored several future business heads and CEOs in his career. He is strategic advisor to several financial technology companies (FinTech) and innovators in financial services and health care. Please welcome S.V. Rangan as my co-panelist and speaker at our webinar today. To all others, I want to introduce myself very briefly. My name is R. Sukumar. I'm the Chief Executive Officer for OSG. Our website is osganalytics.com, so www.osganalytics.com. My experience and expertise spans consulting across a number of industry verticals. I was an academic for more than 25 years after I completed my MBA and PhD in marketing and analytics. Prior to that, I was a mechanical engineer and completed my engineering degree out of the Yale University, and my undergraduate degree from the Indian Institute of Technology in India. I've taught at a number of business schools, and served as an academic dean and participated also as a speaker in a number of speaking series. I'm going to pose my first question to our esteemed guest today, Mr. Rangan, and would love to hear from him, having worked extensively with global financial services, to talk a little bit about the challenges these companies face today in a highly-evolved, customer-driven market. There are things like robotics and high-tech devices (that) produce a lot of data. What are some of those challenges, Rangan, and how do you go about trying to make sense out of it? Thanks, Dr. Sukumar, for the introduction and the question. I think, you know, the financial industry is undergoing a 360-degree change today. The internet, social media, and if you look at customer segments of the millennials — it has changed the whole scenario. The new customer is more demanding, wanting simplicity and convenience. And, at the same time, if you really look at competition, there are lower barriers for entry because of the newer access methods that are there. If you take a smart phone, for example ... it is actually what has led to the de-materialization of the market, the way I look at it. The phone is a bank, the phone is an insurer, the phone is the pension-provider — all rolled into one. The players in the financial services are caught in a bind as they have to support customer demands on one side while their systems are actually built on some ... dealing with some legacy systems which were built in the 70s and 80s. So, this sort of, you know, increased competition has actually obviously put pressure on cost and, you know, not only... so the companies... have to figure out how do they increase the revenues, but also how do they bring down costs. And so, what becomes important is — acquisition is becoming important and retention becomes important, because all this can be achieved only through improved customer experience. So, let us not forget that you know the cost of acquiring new customers is about five times the cost of retaining one. And the cost of acquisition obviously is a write-off, if the customer doesn't stay back with the company. And, you know, the longer the customers stays with the company, the more profitable the customer becomes. But that too ... actually you need the right type of customers. So in an insurance environment, it's a low-claiming one; in a banking environment, it might be a high-spending or - transacting customer. So, at the same time, you know, I talked about convenience and simplicity ... so most of these customers, they might leave for (the) competition when they look at all these new-wave companies coming in with some better technologies, better understanding of what they need because, you know, any of the dissatisfaction which is there in the turnaround times — or service issues — they all lead to what I would call, ... you know, they lead to a not necessarily a very good customer experience. And if I just take a, you know, quick look at some other industries, if you really look at it, ... keeping the customer at the center of every decision pays off. And, like I said, Netflix did not kill blockbusters; it is the ridiculous fees and not listening to the customer that did. And Apple did not kill the music industry. It was ... being forced to buy their full-length albums that did. So, technology by itself cannot be the real disruptor. It is really the customer-centricity or rather, the lack of customer-centricity (that is) the biggest threat to any business. So, if I just look at that, my question, Dr. Sukumar, would be: how can this be done? You yourself are considered an expert in analytics and customer experience with brands and companies. What would you recommend for the companies who face these challenges? So, Rangan, thank you for that question. It's interesting that you gave the examples of blockbuster and the music industry. I think in the financial services industry today, companies are investing considerably in various kinds of data warehouse solutions and robotic systems. I know a local bank, for example, with only 300 branches in the regional area. It decided to spend extensively on robotics and bots to improve customer service. And I think these are great solutions. They generate a lot of data, but sometimes these regional banks are built on the fact that there's been a relationship manager and a relationship for multiple decades with a family that lived in that local area. So, it's hard to understand if putting in a robotic system is actually the right thing. So, that's what it comes down to, you know. The way to solve this problem, the way to solve the problem that you just posed, and the way to solve the problem of the local financial bank that I just talked about, is really to start — first and foremost — understanding what your customer expectations are. This requires you to potentially deploy some very interesting technologies that can help you understand on a continuous and real-time basis. What (is the) customer expecting, how do they see the experience that they encounter with your bank or financial institution, your insurance company, or your wealth management company? How good is this experience, how better would they want to see the experiences on things that matter to them? So, when I say customer expectations, it is all about things that matter to them individually, one customer at a time. And once you have that, then the Design Thinking allows us to figure out how to improve that customer engagement. 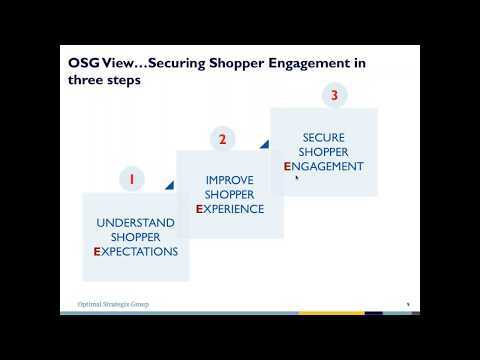 So at OSG, when we say "customer expectations", we mean that we have to begin with understanding what we need to do to understand the customer better, the 360° of the customer. More importantly, as you've pointed out, we must put into place an approach that allows us to understand what drives the behaviors of these discussed customers. So let me tell you a little bit more on how we do it and what is the approach that we take. Somewhere around 2000 or so, we built a technology platform called ASEMAP, which was jointly developed out of Stanford University. And the sole purpose of this proprietary technology was to help understand not only the "what" or "who" of customers — who are they and how do they go about doing their jobs, what are the jobs that they do — but also to focus on the "why". Why do they choose to engage with you, the insurance company, or the bank or the wealth management company? What would lead to a better engagement and how would you look at converting their customer behavior, more specifically to making decisions that are — from a long-term perspective — more meaningful to you, the bank, or the insurance company? So, ASEMAP was designed as a technology that could help us understand the customer journey and then, more importantly, as a behavioral analytics platform to be able to understand all of the relevant choice-drivers, including the benefits and ways by which customers' experiences can be improved. Rangan, you recently heard that Richard Thaler, Professor Richard Thaler from the University of Chicago received the Nobel Prize in Economics for his work on the Nudge Theory. What ASEMAP does is it actually takes what he describes in his Nudge Theory and operationalizes that very effectively in a manner that allows us to understand what nudges are relevant to which customer, whether they say consumer or business-customer. What is the size of one nudge as compared to another in getting that customer to be better engaged or … experience what is a superior experience? So, if I move on to what is our approach in trying to bring in a more holistic look at it, we look at two kinds of data when we are trying to understand how to design better experiences for our clients' customers. First and foremost, we look at historical data. So, if you look at this particular slide, we look at everything on what has happened in our relationship with a customer or a prospect. So, this might mean internal data that shows the transactions with an insurance policyholder. This might mean unstructured data on this policyholder. when he called, when he/she called and made a voice complaint, or made a claim into the call-center. This could mean a video of a customer walking into a bank and engaging with the teller in the bank. So, this could mean all kinds of unstructured data, including social media and IoT data. Much of this is historical, as I said, because the behaviors have already been expressed and the behaviors have already been shown, and the best way to look at this is the use of cognitive analytics tools. These are tools that ... some of which are proprietary to companies like us at OSG; some we leverage from IBM, IBM Watson, and Google Analytics platforms, and so on, but essentially allows us to sift through huge amounts of data, looking to take the unstructured, make them into a structured format, looking for patterns in the data, looking for variances in what used to be normal behavior, and being able to then come out with a more structured outlook for each customer as to what's happening in their life. Now, imagine that you married this with additional data that you collect using ASEMAP, that I just talked about a little while ago, which is more forward-looking. This is looking into the future needs of the customers, this is looking into the very aspects that you talked about that led to the disruption of the music industry, that led to the disruption of blockbusters. This is looking into those specific jobs and outcomes that customers are looking to accomplish and the constraints that they have from experiences and services that they today experience, that they get from the banks and the insurance companies, and the financial services companies. Now marry the two forms of data and you begin to quickly see that you can make tremendous ... you can achieve tremendous insights because you could segment the customers, you can look at them one individual at a time, you can create cohorts of them, to see those who behave in a similar fashion and what are the variances between and across groups. And very soon you start to develop both predictive and prescriptive approaches to leveraging this data and designing interventions — designing actionable interventions — that will allow you to look at each customer one at a time, and be in a position to decide how you want to invest in each one of them, what kinds of investments will best engage them and have them experience a very superior relationship with you. So, Rangan, I hope our approach there makes sense to you and I know when I talk about investments, and I want to turn it over to you to get your perspective on it. No, that's great, Sukumar. It's very fascinating to listen to you talk about the entire gamut and ... of what you go through — the processes. I guess, given everyone is in financial services, finally it comes down to the numbers and what it means to the revenues and the profit of an organization. So, I guess we look at this whole concept of Customer Lifetime Value; and it's really about net profit generated by the customer during his or her lifetime association with an organization. So this is an example that is there — it's just taken from one of the health insurance sort of examples; that's why you see clinical risk-modeling and lifestyle risk-modeling which are there. So, one thing over the last 25 years that has stood out for me ... within financial services domain is that not all customers are the same. Their contribution to revenue, as I mentioned at the beginning, and the cost to acquire them or retain them, vary. So it's absolutely ... the imperative is all the things that you talked about — that businesses must identify the segmentation that you need to do to get the right acquisition and the right retention strategy for all the customers that are there. And designing a marketing strategy without sufficient understanding of the revenue-cost impact of each customer is like shooting at a target blindfolded. So, uncovering the economic value of each customer — what we call CLTV or Customer Lifetime Value — is an effective first step to efficient marketing and also going on further to managing how a customer... what we can do ... to affect his behavior during the time that he is spending with us. So, understanding which customers add value and which ones destroy value. Then determining ways to proactively manage customers from acquisition to retention by offering differentiated interventions by different customer-segments. So, just going beyond typically just the geographical or some income segments, but looking at behavioral segments and going beyond the normal. So, while doing this, any organization, Dr. Sukumar, should prioritize these interventions based on the spread across CLTV segments. The interventions, when they are rolled out, may not necessarily resonate or gain traction as expected with the customers. So what, in your opinion, could be going wrong in such instances, Dr. Sukumar? That's a great question, Rangan. I've experienced that with many companies. A segmentation exercise that is based strictly on Customer Lifetime Value could be a great start, but the problem with that is it does not throw any light on what drives customer motivations and their behaviors, and what might be their hierarchy of needs. So, you may focus on deciding on trying to invest on customers that are of high value to you, but you don't know if you might be disrupted by a Netflix in a blockbuster world. So, this means that any message delivered or an intervention deployed may or may not resonate with these customers as it is not aligned with their true behavioral motivations. To ensure that customers engage with the marketing programs deployed, it is absolutely imperative for organizations, for companies in the financial services sector, to understand these customer expectations. And organizations can uncover expectations, or these behavioral nudges that we talked about a little while ago, by doing a better job of understanding the motivations of customer behavior. Behavioral analytics is not only about past behaviors but it must go deeper into really understanding what truly matters for your customers and be able to create actionable segments, even micro segments, to who the experiences that you design, the nodule that your design, will resonate most and allow you to keep them engaged as you go forward. When you look at what we talked about earlier — creating this hybrid data-set that not only reflects actual behaviors in the past which allows you to understand CLTV, but also adds on to it a predictive component of what might be a journey and needs and expectations, and how might you nudge and do a better job of engaging those customer behaviors in the future, you begin to take the CLTV-based segmentation and now be in a position to truly do a much and far better job to engage some of these customers. So, Rangan, let me turn it over to you. You've implemented CLTV and I'd love for you to take a simple example of that. Oh, sure. I thought I was going to ask you: have you actually really done this with OSG? Given the people who are going to be in financial services, have you looked at any insurer or bank? Oh, sure. We've done this for several clients and let me take you through this example that we have right (here) staring in front of us, which is a wonderful case study of an insurance company that used a CLTV-based approach, initially to segment their customers and then moved on to apply the behavioral analytics of ASEMAP to better understand how to engage their customers. So, when we worked on this, we were first given a lot of very interesting historic data. It was quite a bit of a challenge as the data was not in a single place or a single area and we had to use multiple approaches to be able to pull all of this information together. So, we worked for a global health insurer who provided us with bits and pieces of different information and what we did is, after we pieced and created a nice database of strictly historical actions, relationships with these policyholders, we were able to develop a robust segmentation model using Customer Lifetime Value. We also did various kinds of clinical regression models and built a predictive tool to understand probability that this insurer might lose a policyholder. In the process of doing that, we looked at two simple axes as you can see on this slide. The understanding of the probability of lapse on the horizontal axis and, on the vertical axis, we looked at CLTV - Customer Lifetime Value. This created for us four quadrants and you can see we described this by very articulately and statistically dividing them into four quadrants. There were more than two million policyholders who are plotted on this, and we were able to create these four quadrants. On the upper north-west, we could see customers who are high CLTV, but had a low probability of leaving. This is a gold mine. This suggests that these are customers who proactively initiate on wellness programs and reduce clinical claims, and are very engaged with their insurance company. On the other hand, you may also see customers with a very high Customer Lifetime Value but also very high probability of leaving. This would be suggestive of customers who are probably young and restless, need some intervention such as driving better engagement with them, reduce the lapse-rate and create messaging that would allow us to keep them together. Now, there are customers with low Customer Lifetime Value and high lapse and you might make a decision, like in that south-east quadrant, that these customers are not worth keeping; these customers or policyholders that are probably well-deserved for us not to engage with. And finally, in the fourth quadrant there; the south-west quadrant would also require appropriate interventions. 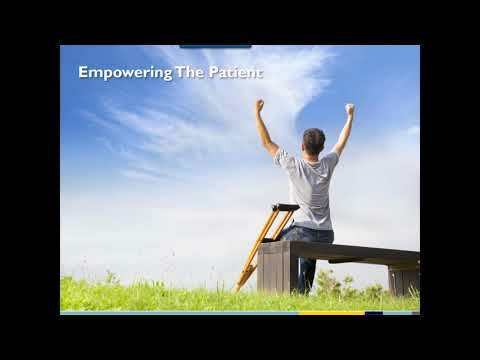 Now, if you go to the next slide here, Rangan, we built this application into our Big Data Platform and were able to leverage these, and take it to a high degree of personalized interventions with each individual policyholder, defining for the call-center — as they made outbound calls to renew policies — not only the various, you know, the CLTV position of that customer, the clinical risk, the claims risk, the lapse risk of this customer; and then on the basis of that our predictive algorithms and models provided the right kind of strategy and communication that had to be given to this customer, depending on whether this customer is a high-value customer that is likely to lapse, or a high-value customer that has a low probability of lapsing, or the other way around as in some of examples here where you may have a medium CLTV, but a high lapse risk. So strategies are built and executed. And let me tell you what happened here, Rangan. This company, this global insurer, had a churn rate of about 20% and a number much higher than that on first-time policyholders at the end of the first year. We were able to, through the use of these nudges that were built on our behavioral analytics platform, ... drop that down to 5%. That was a considerable amount of retention, and retention of those customers that were highly valuable and ones that made sense to keep. But the ones that began to get engaged because the experiences that this company drove were powerful and meaningful. So, let me ... Sorry, go ahead. So, Dr. Sukumar, what I see out here is — what I like out here is — the fact that you've been able to translate what looked, when we started this whole conversation, a fairly complex concept into almost an actionable thing which is at a call-center level. So it sort of transcended from there. So it's very practical, it's very do-able from an implementation perspective. Would you agree with me on that? I completely agree with you. We've been able to understand our portfolio of customers and we've been able to design and develop good insights, powerful intelligence and, more importantly, interventions that led to generating outcomes for our client. OK... and you've take an example of a health insurer, but how applicable is what you talked about to banking or wealth-management or any other industry which has got advisors or distribution folks who might be there. Absolutely, Rangan. Time permitting, I could have taken you through examples of every one of those industry verticals, you know. Even in the case of wealth-management companies where you have a financial advisor, who is that intermediary before they reach out to the end-client, the high net-worth, ultra high-net-worth, customers. It's the same process, Rangan, it's the same process. It's all about understanding not only — in this case, you're end-consumer or customer, but also the financial advisor, because that makes up the entire value-chain. That makes up the entire customer-journey. It comes down to understanding what data you can collect at every stage of that journey, some of which is historical and some of it is forward-looking in terms of the behavioral nudges that we talked about using our behavioral analytics platform called ASEMAP. Well, at this point we would be happy to open it up for any questions. Thank you, Dr. Sukumar. We have a couple of questions. The first question is: you had mentioned ASEMAP; can you share with us some technical details on how ASEMAP works? Absolutely! Thank you for that question and, as we move forward, I also want to thank my guest speaker and financial adviser to the firm, S.V. Rangan. The question you asked about ASEMAP can be best described as an adaptive gaming platform that allows us to pose multiple nudges to an individual customer or prospect and, through a series of simple questions that look very much like a trade-off game, or a stock-investment game, we are able to see how the individual makes those trade-offs and which of those nudges are more likely to uncover an impact on the customer's behaviors than others. So, as these individual trade-offs are being made and the options are being placed, an algorithm, a statistical — highly sophisticated, statistical — algorithm, continues to run in the background, allowing us to understand which nudge is valuable to this individual and how much of an impact does one nudge make over another in getting this particular individual's expectations better understood. And experiences can then be designed on those aspects, on those needs that are more important to that particular individual. A lot of personalization can be done using ASEMAP as a very sophisticated tool. It operates in real time and the algorithms are very powerful. Thank you, Dr. Sukumar. One last question is: what aspects of the CLTV equation do you think are known, and which ones have to be predicted? Absolutely, Geeta. So, if you notice in the equation — and I'll put that very quickly up here. One of the biggest questions here is understanding how long a customer is going to be with you; the time-horizon needs to be estimated. That is a difficult estimation procedure and uses some very sophisticated statistical tools. There's also cost elements of servicing the customer that need to be estimated that may vary, or the time, and the lifetime of that customer. So, some interesting elements here that need to be predicted. Some of them can be observed for individuals that have already lapsed. Others will have to actually be predicted because you don't always know which customers are going to be with you, for how long. And, in companies where the data may not have been kept for long enough time, sometimes we don't know when did the customer journey with the insurance company or the bank start. So, all these are interesting data problems that we experience, but all of them can be understood and easily done using modern statistical techniques that exists out there. Thank you, Dr. Sukumar, and thank you, SV Rangan for this wonderful presentation. We'll have a copy of this presentation along with the recording of today's webinar on our website at www.osganalytics.com. You see the names of Dr. Sukumar and S.V. Rangan on your screen with the contact information. So you can contact us if you have to have further discussions. With that, we thank you for your time today, and we wish you a very happy rest-of-the-day. 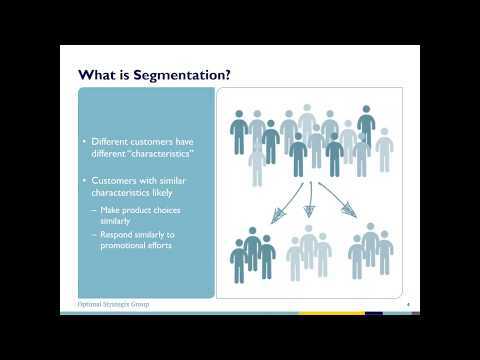 Customer Segmentation Does Not Work- What is Wrong With It?